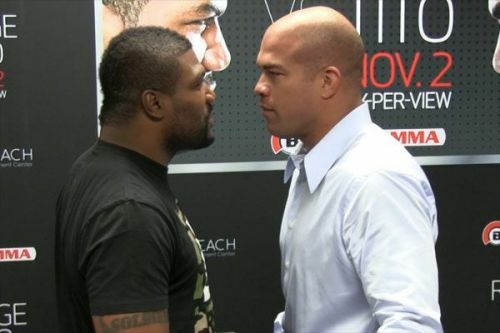 Although Impact Wrestling have had some of the biggest names in history of the industry work for the company, they never quite made it to the WWE level, even when they deserved to. Before bringing in the likes of Hulk Hogan, Ric Flair, Mick Foley, Sting and Kurt Angle, the then-TNA tried to gain publicity by bringing in celebrities, and sometimes they would go one step further and sign celebrities to short-term contracts. No matter how long they worked for Impact, these signings never brought Impact the attention they were looking for, and in the end, had just wasted a lot of money on them. Let's look at the top five. 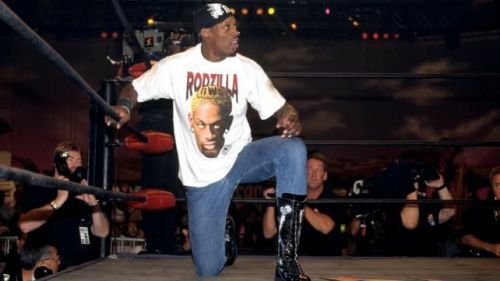 Basketball icon Dennis Rodman decided to hop on the popularity of wrestling bandwagon in the late 90's when he joined WCW in 1997 and quickly became a member of the NWO. He would team up with Hulk Hogan in the main event of two pay-per-views and also faced Randy Savage one-on-one. TNA would bring 'The Worm' into the company in the summer of 2004, hoping to replicate some of his WCW 'success'. Rodman's appearance was announced on Impact, and then made his appearance on the following weekly NWA:TNA PPV. Rodman sat at ringside and did absolutely nothing, making his appearance virtually useless, and it was said that Rodman reportedly showed up to the taping refusing to do any of the stuff pitched to him. Dennis was literally paid by TNA to sit at ringside with two models for the evening.